Charming single storey cottage with 45 m² of living space and a small garden of 60 m². Super charming village house with 65 m² of living space, terrace and views! Beautiful villa with 150 m² of living space on 2555 m² of land with pool and open views. If you happen to be watching a French costume drama from the days of Richelieu or Louis XIV then there's a good possibility that it could be set in this town. Pezenas appears to be caught in a time warp with a vast array of beautifully preserved buildings from what many describe as the 'Golden Age'. 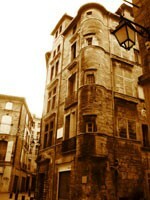 History has been fortunate to the development of Pezenas. Due to the battering that Beziers and Narbonne took during war, the seat of the Estates-General of Languedoc was moved here. Soon afterwards came the royal governors who brought with them immense wealth. The rich nobles then began re-designing the town as they saw fit. This period of affluence and prosperity was finally brought to an end with the revolution. Pezenas is certainly a distinctive town architecturally. Make sure you leave yourself plenty of time to wander around, as there is much to see. It has a total of 70 historical buildings listed. When you feel its time to give your feet a rest from all that sightseeing you can head into any of the theatres or cinemas that dominate the old town. Like many small towns in the region, Pezenas has a vibrant wine industry. However, if you're here with kids then they'll probably be more interested in the town's sweet industry. Visits to the sweet factory can be arranged from the Tourist Information office (and yes, tasting is included). Getting around is fairly easy. The fast and efficient TGV train service from Paris stops in Montpellier. Alternatively, Motorail has a train service going from Calais to Narbonne. The fastest way, of course, is still by air and so you'll be pleased to know that a number of airlines fly into the surrounding airports. Ryanair is now flying into Beziers, while Montpellier is serviced by Ryanair and easyJet. Pezenas has regular bus connections to Beziers. Pezenas is a pretty expensive place in which to live. Like the surrounding region, property prices are on the increase. There is little chance of finding any bargain properties. Do you know Pezenas better than we do? 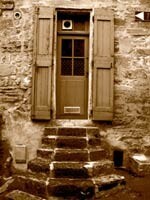 Do you have photos of Pezenas? In the centre of the Herault department, in the Languedoc Roussillon. Access: Nearby Montpellier provides both an international airport and a TGV station. Beziers Airport also has flights from the UK. Economy: Craftwork, the arts, cuisine and winemaking have been the traditional backbone of this market town for centuries. Interesting fact: The recipe to the 'petits pâtés de Pézenas' has been kept secret by the local bakers ever since it was first given to them by Lord Clive, who had a fondness for the town.